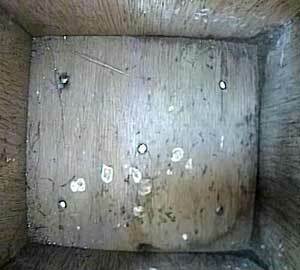 Another night has now passed and the box is still as clean as it was when I went on holiday, so the rooster must be Ann. Also, the solitary piece of moss has disappeared! At the end of the day, we see that Ann has come to roost again. 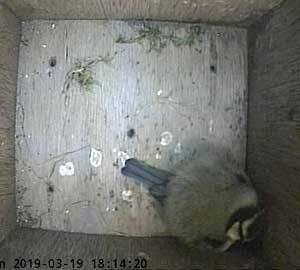 She may not be doing any nest building, but she clearly considers the nest box hers. 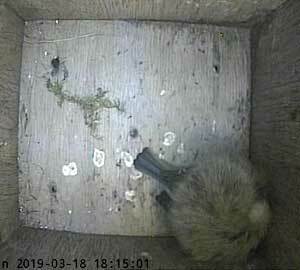 Another day has passed and again Ann is roosting in her box.